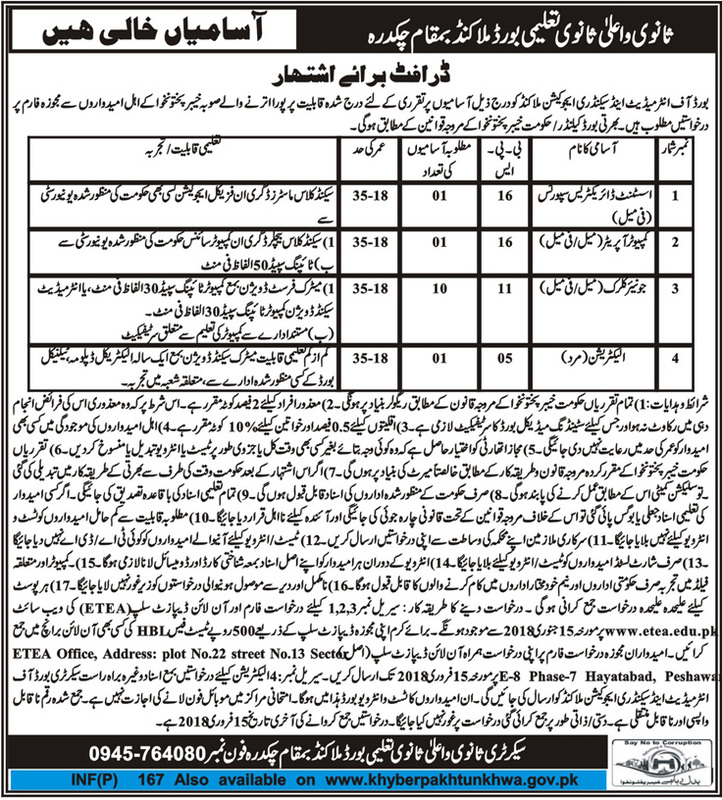 Board of Intermediate and Secondary Education District Malakand has announced 13 New Jobs in Daily Mashriq Newspaper. Jobs titles and umber of posts are as follows, Assistant Directress Sports (Female BPS-16) 01 Post, Computer Operator (Male/Female BPS-16) 01 Post, Junior Clerk (Male/Female BPS-11) 10 Posts, Electrician (Male BPS-05) 01 Post. Candidates who required Qualification and Experience may apply for these New Government Jobs. Job Application form will be available at www.etea.edu.pk from 15 January 2018.